We have Pediatrician jobs in Pennsylvania waiting for you! Any physician who has passed the pediatric written exam and been certified by the American Board of Pediatrics, is considered a pediatrician. Pediatricians must first complete four year undergraduate school, four years medical school, and a three year residency before they can be considered for pediatric candidacy and take the written exam. The residency focuses on the emotional, mental, and physical care of patients from infants to young adults. Pediatric recertification happens every seven year. The pediatrician must prove they are still competent in the field of pediatrics. There are four major aspects of the pediatric profession that pediatricians follow in order to provide the best care possible for his or her patients. First, they evaluate patients and educate parents in an effort to reduce infant and child mortality. Second, they treat patients so as to control the spread of infectious diseases. A pediatrician may also educated parents about how to prevent a child from contracting an infectious disease. Third, a pediatrician educates parents and patients about making healthy choices so that the patients may live and happy and healthy life. 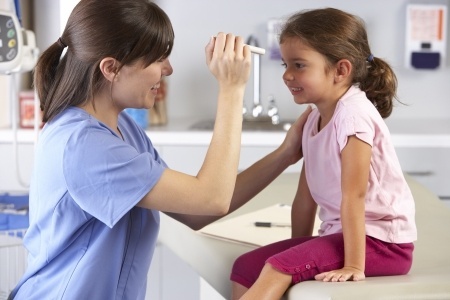 Lastly, pediatricians diagnose and treat chronic conditions in children or adolescents. Some conditions and illnesses pediatricians treat include genetic disorders, organ diseases, organ dysfunctions, injuries, malignancies, infection, and another other health issues their patients may suffer. Because pediatricians look after the mental and emotional well being of their patients along with the physical, there are many developmental issues that pediatricians can detect as well. Anxiety disorder, behavioral difficulties, social stresses, functional problems, developmental disorders, and depression are some of the emotional and mental problems pediatricians will look for during an examination. If a pediatrician finds an issue that they cannot adequately diagnose or treat, they will consult with a specialist or refer the patient. This is all in the effort to keep their patients as healthy as possible. Harrisburg, Philadelphia, and Pittsburgh are all big cities located in the state of Pennsylvania. However, it should also be noted that Pennsylvania has a strong rural and farming community as well. So if you like life in the big city or in the country, you can have either in Pennsylvania. There are also many historical museums and national parks to visit. With a population of about 12 million, there are plenty of pediatrician opportunities available in Pennsylvania. Doctor’s Choice Placement Services, Inc. has a database, that is updated daily, full of Pediatrician jobs in Pennsylvania. Best of all, our services are free for any physician looking for employment in his or her field of training or expertise. Come and check out all the services we have to offer. Many physician employers have used Doctor’s Choice Placement Services, Inc. to find them the physicians they need. If you have open pediatrician jobs in Pennsylvania, you have come to the right place. We provide a pediatrician search and placement service with nothing charged until the job is done. If you would like to employ our services, you can contact our Pennsylvania Pediatrician Recruiters, go to our Pennsylvania Pediatrician Employer page, or simply call us at (800) 510-0975. You will be happy you contacted us!